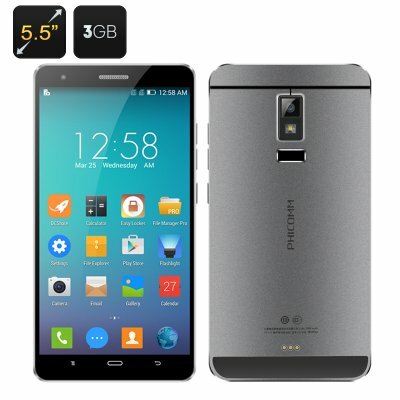 Successfully Added Phicomm EX780L Smartphone - 5.5 Inch 1080p Screen, Snapdragon 2.5GHz CPU, 3GB RAM, Fingerprint ID, 4G, Dual SIM to your Shopping Cart. 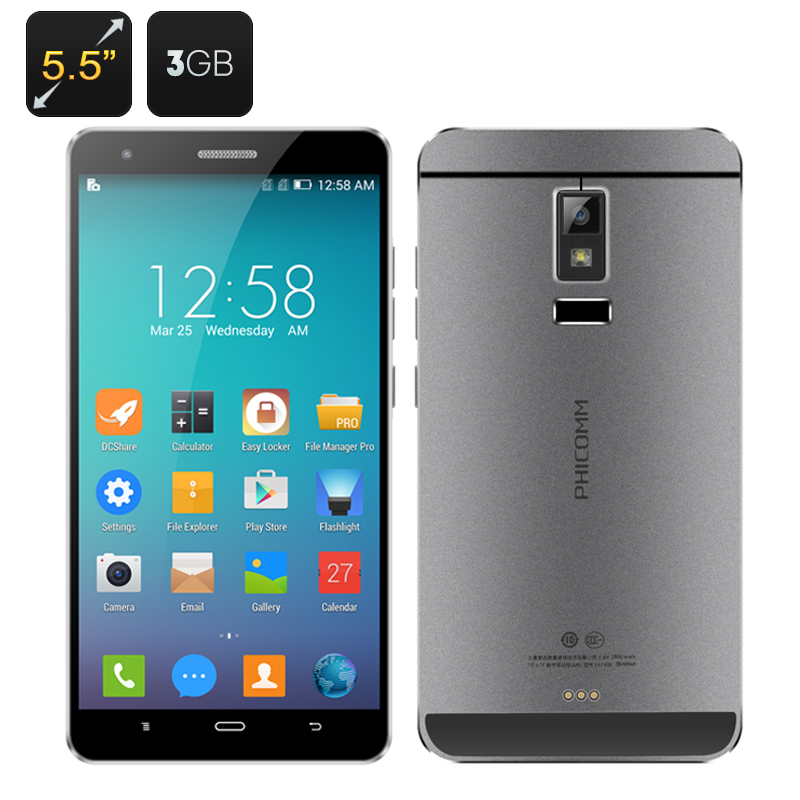 With an integrated full metal body the 5.5 inch Phicomm EX780L has a smooth sleek body and rounded edges bringing a true touch of class, this makes the phone look and feel beautiful. This top looking phone performs amazingly well due to a Snapdragon 801 quad core CPU that's clocked at a staggering 2.5GHz, add to that the 3GB of RAM and you’re in for a truly spectacular performance as this phone can handle anything you throw at it. The Phicomm EX780L has fingerprint scanning technology so it can identify you from a simple touch and allows for advanced security, this means you don't have to worry about remembering yet another password or pass code and as only you have your fingerprint, it can’t be used by anyone without your permission. A 5.5 inch screen displays content in full HD 1080p resolutions and is protected by Corning Gorilla Glass III technology, adding toughness to beauty. This will protect the screen from scratches and help reduce damage from any drops and knocks. The Phicomm EX780L has advanced smart wake and gesture sensing functions, making accessing apps and performing many tasks quick and intuitive. Just draw a character on the locked screen and your preselected app will open. You can even use movements of the phone to perform tasks, so if your phone starts to ring in a meeting just, flip the phone over and it will quickly silence the call. With dual SIM support and 4G connectivity the Phicomm provides you with access to fast 4G upload and download speeds directly over the cellular network, so with the Phicomm EX780L you can enjoy speeds equivalent to broad band and stream HD movies direct to this device. A 2900mAh battery brings around 6 hours of usage time and with 32GB of internal memory you should have plenty of room for all your apps and media. The Phicomm XL780L comes with a 12 months warranty, brought to you by the leader in electronic devices as well as wholesale Android Smartphones..